We had the pleasure of supplying inflatable rentals for Search Influence’s 3rd Quarter Party! Search Influence is a digital marketing agency located a short distance from our own Home Office in New Orleans, LA. In addition to SEO, they are highly skilled in the practice of team-building. Earlier this year Space Walk and Search Influence teamed up to enhance our marketing efforts in local markets across the country. This event was held at New Orleans’ famous City Park, located in the heart of Mid-City. 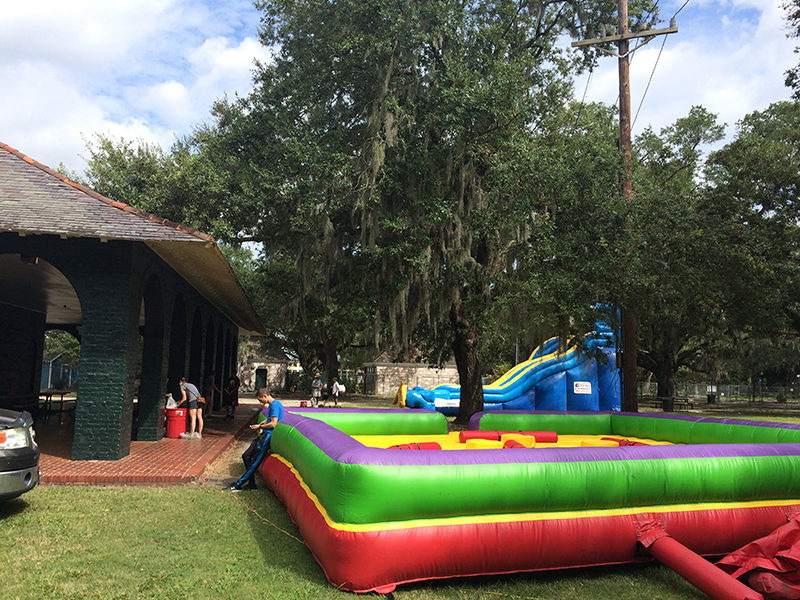 City Park is one of the most popular event venues for birthday parties, special events, and corporate team-building activities for our Greater New Orleans branch. With the event so close to our Corporate Office a few staff members headed down to the park to lend a hand setting up some of our favorite inflatable inventory pieces: a 68’ Obstacle Course, 4-Man Joust, and Wipeout Water Slide. The party was a big hit! 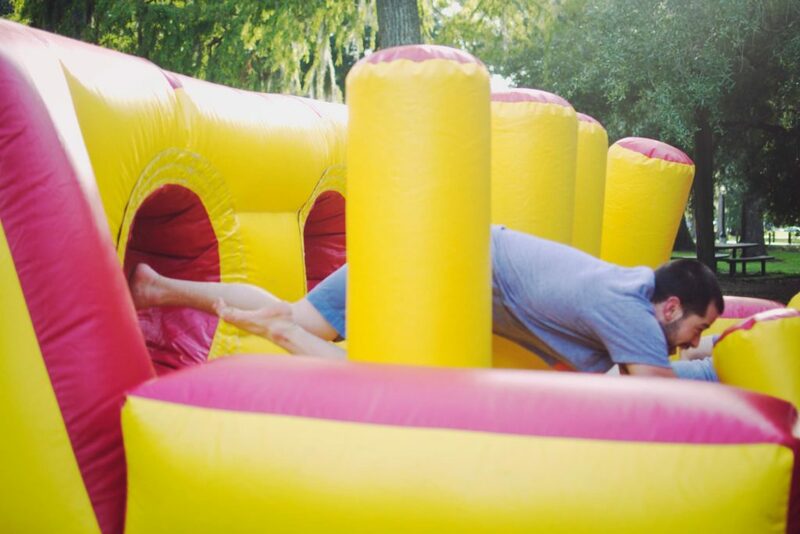 Business Development Associate Scott Holstein dominated the races for the day, seen above diving for an early lead on the 68′ Inflatable Obstacle Course. 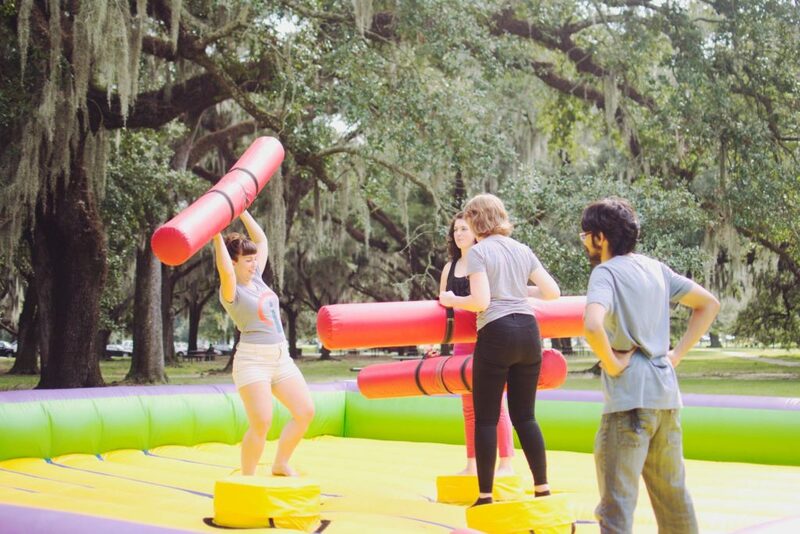 Later, Search Influence CEO Will Scott was seen literally fighting his employees on the four-man Joust. The fun didn’t end with inflatables though, we brought concessions. Fresh popcorn, sticky cotton candy, grilled hot dogs, and ice-cold Abita Golden Lager was enjoyed by all over conversation, competition, and camaraderie. 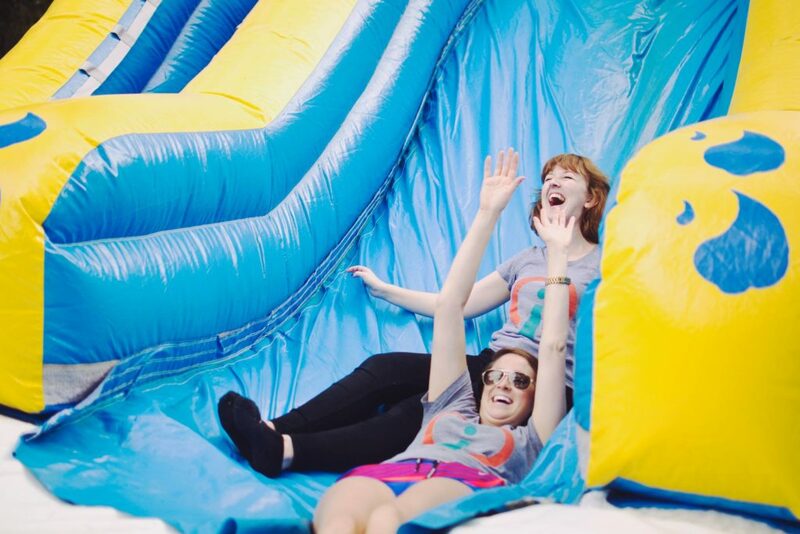 For a group of 70, four inflatables provided hours of entertainment that paired perfectly with the fun-loving atmosphere of the Search Influence staff. Intersted in having Space Walk deliver the fun for your next corporate picnic or team-building event? Find your local branch and request a quote! Photos: 1, 3-4 by Mary Silva. Next PostNext 5 Reasons Why Children Love A Bounce House Party!